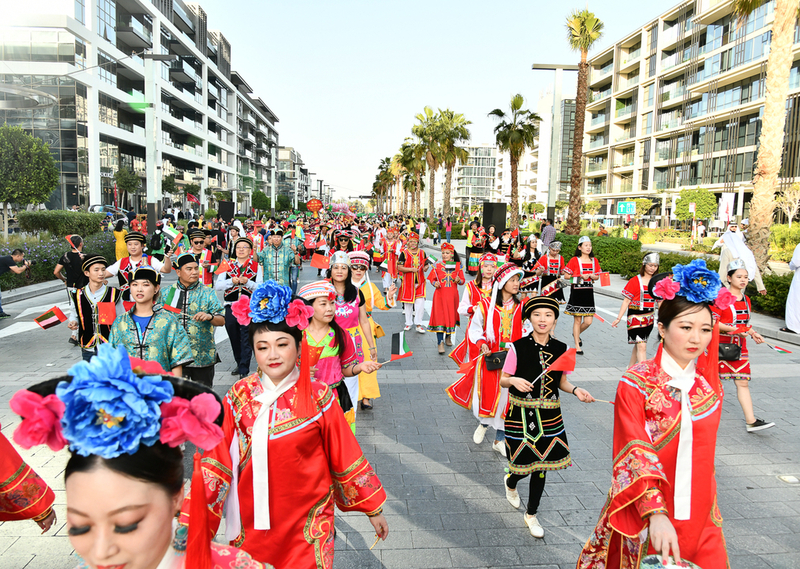 Hala China, a joint initiative by Meraas and Dubai Holding, hosted the Hala China Grand Parade along Al Mustaqbal Street at City Walk, Meraas’ design-inspired open-air destination. Distinguished guests at the event included His Highness Sheikh Mansour bin Mohammed bin Rashid Al Maktoum, Her Excellency Tan Li, Acting Consul-General of the People’s Republic of China in Dubai, and Sheikh Majid Al Mualla, Chairman of the Board of Directors at Hala China. 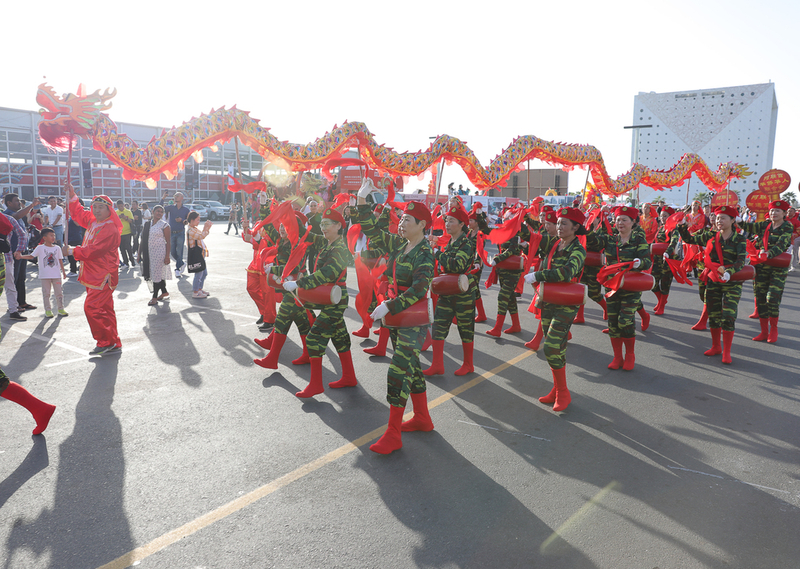 The parade was one of the main highlights of the month-long Chinese New Year festivities in Dubai. 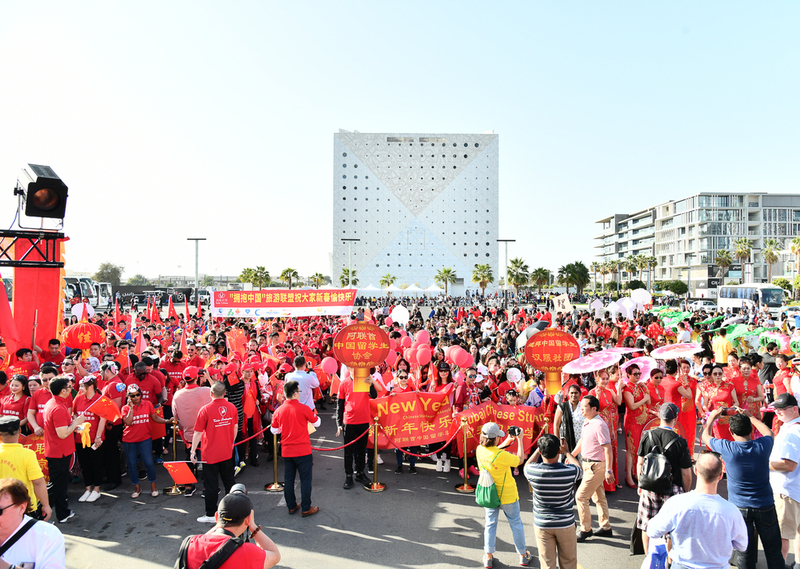 Addressing the crowd, Sheikh Majid Al Mualla welcomed Chinese expats and tourists marking the occasion in Dubai to the biggest celebrations of Chinese New Year outside the People’s Republic of China. He also praised the UAE’s initiative to honour the cultures of the two nations that reinforces the country’s commitment to observing the Year of Tolerance in 2019. Her Excellency Tan Li, Acting Consul-General of the People’s Republic of China in Dubai, expressed her appreciation for the role played by the Hala China initiative in strengthening social ties between the UAE and China. 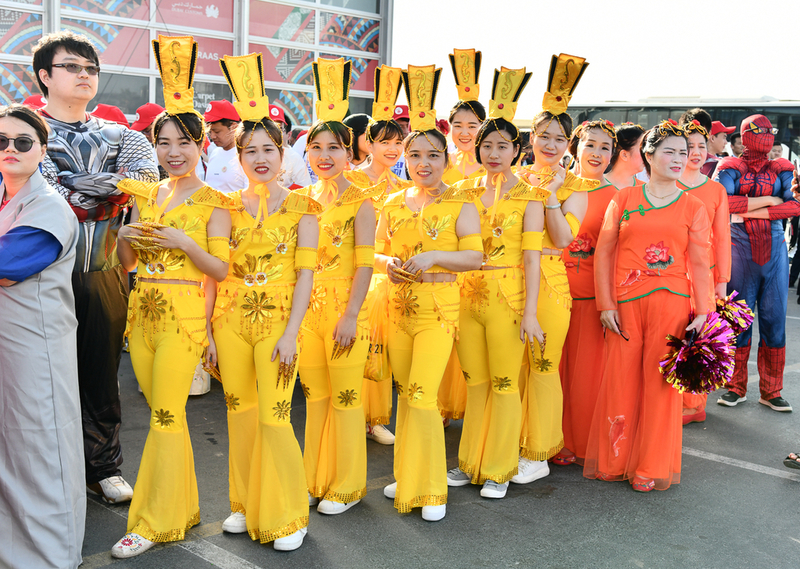 More than 20,000 participants and spectators attended the colourful event, organised in collaboration with the Consulate-General of the People’s Republic of China in Dubai and the Ministry of Culture and Tourism of the People’s Republic of China. 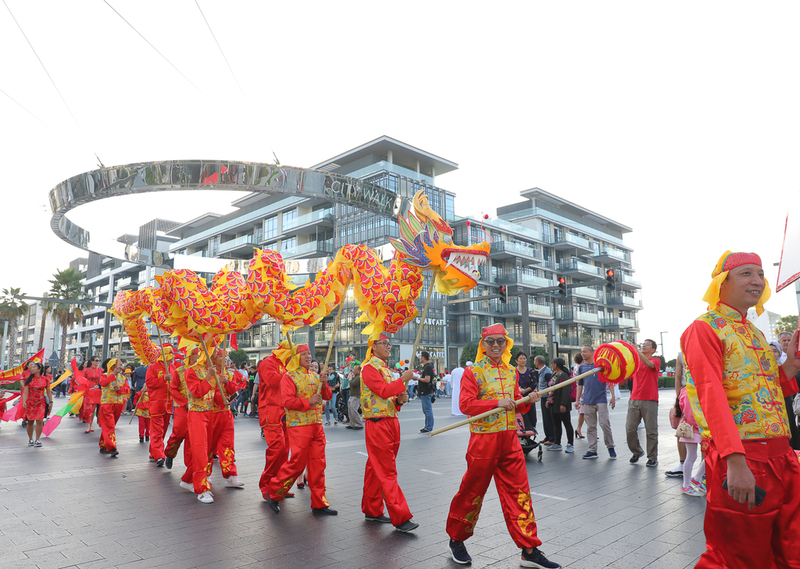 The spectacular parade featured enormous dragons, acrobatic performers, magicians, kung fu fighters, Sichuan dancers, and other traditional acts that showcased the vibrant Chinese culture. The event marked another milestone for Hala China, an initiative that explores opportunities to facilitate economic development in Dubai and China through tourism, trade and investment. 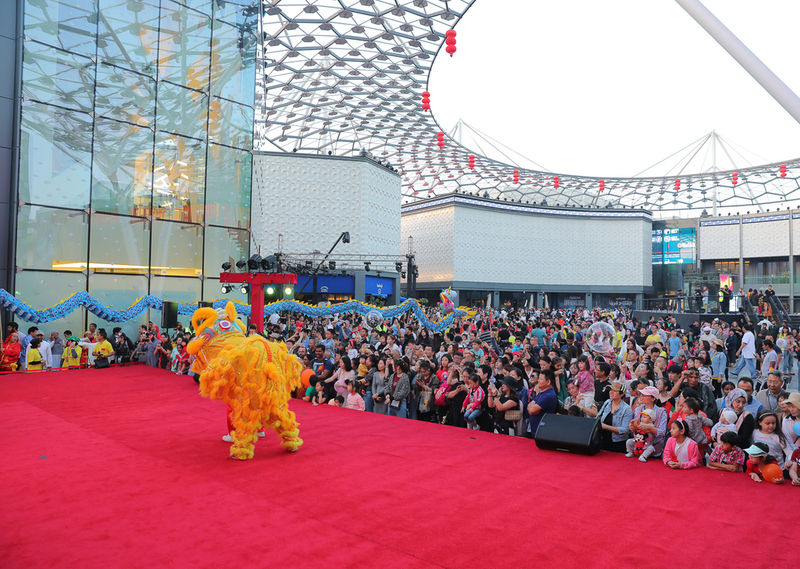 Under the Hala China initiative, Dubai is currently hosting a packed schedule of Chinese New Year activities across popular destinations, including Bluewaters, Boxpark, Dubai Parks and Resorts, JBR, La Mer, Madinat Jumeirah, The Beach, Global Village and The Outlet Village. 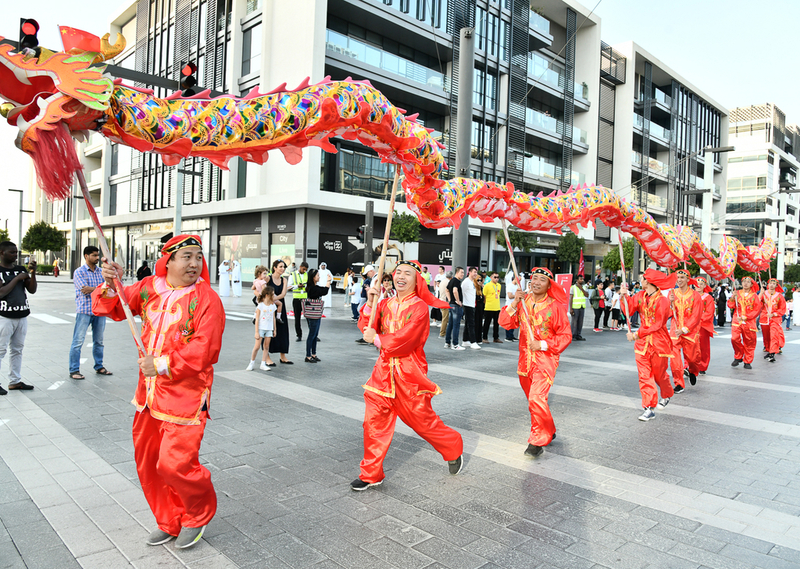 The agenda features a sprawling Chinese market at Dubai Parks and Resorts from 1 to 9 February, a street food market that will set up shop at Al Seef from 7 to 23 February, and a host of other events aimed at encouraging residents and visitors to embrace Chinese culture. Chinese New Year falls on 5 February 2019.